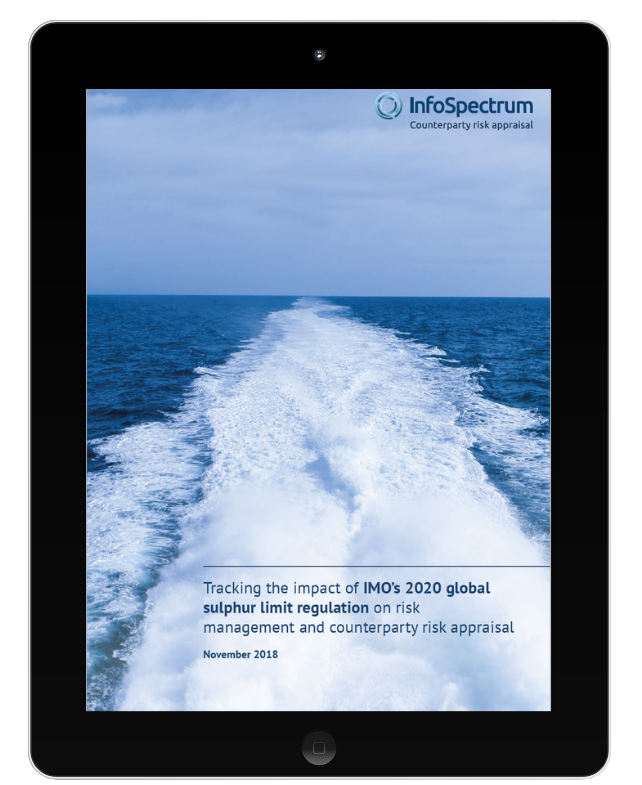 Our white paper, ‘Tracking the impact of IMO’s 2020 global sulphur limit regulation on risk management and counterparty risk appraisal’ provides a summary of major risks, potential outcomes and emerging opportunities for key players impacted by the new regulation. Simply enter your details to gain exclusive access to our free white paper today. What are the IMO 2020 global sulphur limit compliance options? Which key shipping industry sectors will be impacted by the 2020 regulations? What is the impact of the IMO 2020 global sulphur limit on cost and credit for key shipping sectors? The final countdown is on: What do we know so far about the 2020 sulphur cap?